The daily commute from Finchley to Russell Square by Behnaz Mozakka was for a job she loved. Great Ormond Street Children's Hospital was her destination on 7 July, where she worked as a biomedical officer. The Iranian-born 47-year-old had lived in Finchley for 13 years. And her death on the Piccadilly Line Tube train that morning has devastated her family. 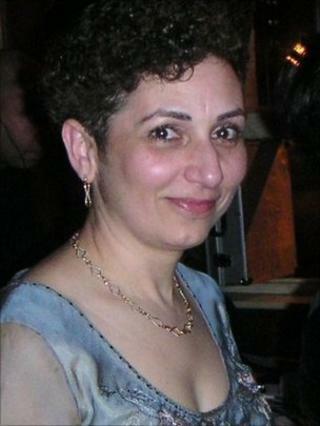 Her husband, Nader Mozakka, whom she had met while they were at university in Tehran and married in 1979, said: "She was a very peaceful person and hated violence. She was hugely loved. This has left a big hole in our lives." The family were initially told she had survived for up to 45 minutes after the explosion, but at the inquest in October 2010, it was revealed that she had died instantly. Speaking in court at the inquest five years after her death, Mrs Mozakka's daughter Saba, who was 24 when she lost her mother, said that she, her father Nader and her brother Saeed had been "shattered" by the death. "Following her murder, we were forced to sell our family home, because the reality of living there without her was too painful to cope with. "The three of us now live separately, and while we are still very close to the family and love each other dearly, our glue has been taken away from us," she said. Miss Mozakka said she had suffered post traumatic stress disorder after her mother's murder and missed her every day. "I cannot imagine marrying without my mother being there to plan and share my day. I cannot fathom having a family without her, my mother, to support me." She said although her mother loved her job and was very good at it, her priority was the family and, in 1991, she gave up science to take a job at Save the Children so that she could spend more time with them. "She never thought twice about making sacrifices for her family. My mother was very devoted to us, her family." Eight years later, Mrs Mozakka started work at Great Ormond Street Children's Hospital. Laura Hamilton, who worked with Mrs Mozakka for more than four years at the hospital, said Mrs Mozakka - who was known as Nazy - had started working there a week before her and had helped her settle in. "She really was like the mum of the lab, helping out with any problems, a friendly shoulder when you needed some advice. "She was such a kind and caring person, with something nice to say about everyone." The inquest heard that the hospital created a roof garden in memory of Mrs Mozakka. "This is a beautiful garden which is a tribute to my mum, who loved the outdoors and always felt very passionately that staff did not have enough green space," her daughter said. She said that following the death, Mrs Mozakka's mother became extremely unwell and never recovered. She said she had worked hard to keep her mother's memory alive, working with the government to design and create a permanent memorial to the victims of the 7/7 bombings in London's Hyde Park. "While I am incredibly proud of what we have managed to achieve, I wished every day, during every single meeting, every single board meeting, that I didn't have to be involved in this project. "The horror and brutality of having someone you love so much hurt in this way can never be explained," she said.